Chairman Pakistan Peoples Party, Bilawal Bhutto Zardari, has reiterated he has ideological differences with Nawaz Sharif and Imran Khan. Bilawal arrived in Sarawan House, Quetta, on Monday where he expressed condolences with the family of Siraj Raisani, who had been martyred in a suicide attack on Friday. Later, addressing a press conference in Quetta, the PPP chairman said that the Peoples Party has the full capacity to face the worst of the situations, adding that the National Action Plan has not been completely implemented. He said that the people of Balochistan had been affected by a spate of terrorist incidents recently. Bilawal further said that allowing proscribed organizations to take part in the election is an affront to the Constitution, adding that the PPP's manifesto contains a host of programs for the poor. 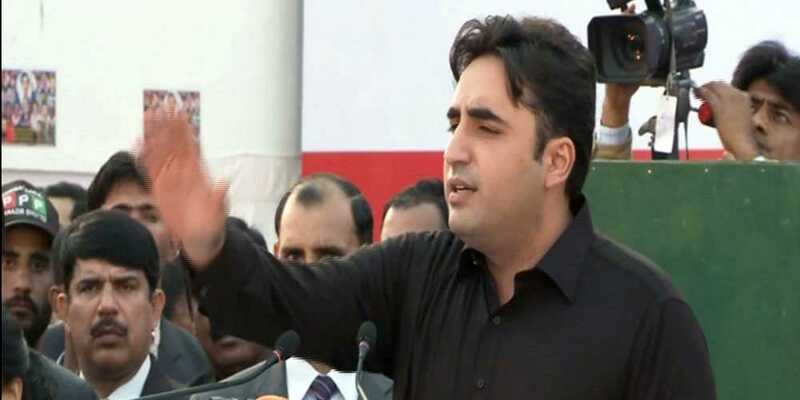 Bilawal appealed to the people to help the PPP to win the election by voting for it on July 25, saying that the terrorists can be defeated by the power of the vote. Taking a swipe at the PTI chief, Imran Khan, Bilawal said that Mr Khan had claimed to end corruption and terrorism in Khyber Pakhtunkhwa but nothing like that happened there. He alleged that the PTI chief is not to be relied on as he says something new every day. The PPP chairman further said that if the nation is serious about eradicating terrorism, then the National Action Plan will have to be expanded. Bilawal went on to say that if election can be held in Iraq and Afghanistan, then they can also be conducted in Pakistan.